The starter of the bezel-less trend, the Xiaomi Mi-Mix was announced last year around October. 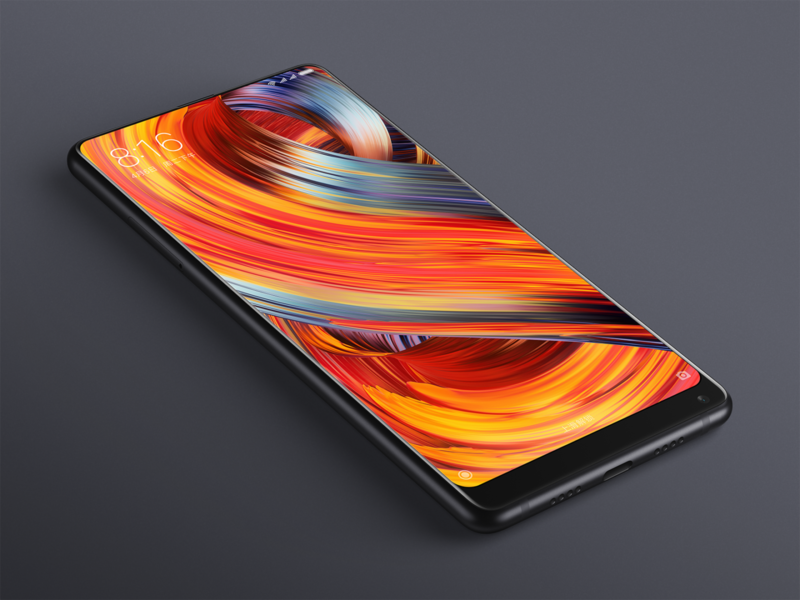 This year, Xiaomi has announced its upgrade, the Xiaomi Mi MIX 2. It features a massive 5.99 inch (1080×2160 pixels) bezel-less display with 18:9 aspect ratio. It has also got a ceramic body like its predecessor. It has also got 6GB of RAM for multi-tasking and facial recognition for security purpose. The Xioami Mi MIX 2 is different from many angles from its predecessor. It has 12% smaller chin than the previous one which makes it smaller and easy to hold in hand. Like the older one, this phone also has the same hidden sound-guided speaker as well as ultrasonic proximity sensor. The phone will also have a special edition which will be available with 8GB of RAM and 128GB of internal storage. The phone is powered by a 3400mAh battery. The phone features typical sensors like accelerometer, ambient light sensor, barometer, digital compass, gyroscope and ultrasonic proximity sensor. It has got dual Nano-SIM ports and is powered by a Snapdragon 835 processor clocked up to 2.45GHz. It sports a 12-megapixel Sony IMX386 sensor with 1.25-micron pixels with 4-axis Optical Image Stabilization. For the who are not understanding the micron pixel size reference, it basically means that the phone is good for low-light photography. On the front, it has a 5MP camera with face recognition function. The phone launch date definitely indicates that it is going to compete with the flagship phone from top-tier brands since it has been released just a day before the launching of the iPhone 8 from Apple and few days after the launching of Samsung Galaxy Note 8. The Mi Mix 2 is priced at CNY 3,299 (41,500 Taka) for its 6GB RAM and 64GB storage variant, CNY 3,599 (45,300 Taka) for its 6GB RAM and 128GB internal storage variant and CNY 3,999 (50,300 Taka) for the 6GB RAM and 256GB internal storage variant. The special edition with the 8GB RAM and 128GB internal storage variant will cost CNY 4,699 (59,200 Taka). The phone will start selling through flash sale from Friday, September 15 and registration will start from Monday. The Special Edition will go on sale from November.